A partner in CPMT Estate Planning Group, Abbey prides herself on her ability to listen to and empathize with her clients, and to translate discussions into a meaningful end product, representative of her clients’ personal wishes, goals and best interests. Abbey’s practice is devoted to estate and gift planning, charitable planning, probate, trust and estate administration, pre and post-marital planning and business succession planning. 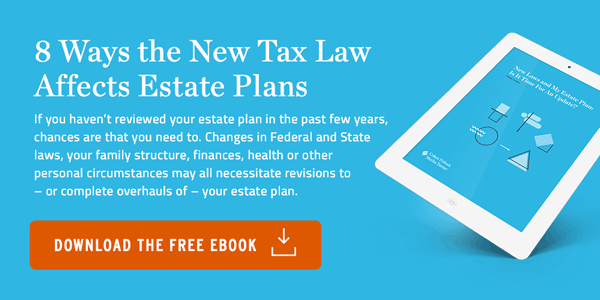 She works with everyone from young professionals to Fortune 500 entrepreneurs and executives to accomplish their personal and tax-related estate planning goals. She also assists individual and corporate fiduciaries through the probate, trust administration and tax reporting processes, as well with related post-mortem planning issues. Abbey is particularly honored to have assisted her clients with shepherding hundreds of millions of dollars to various foundations and charities. Abbey frequently speaks to audiences on a variety of topics, including estate and tax planning, asset protection planning, philanthropy, complex gift planning structures, planning for the newly-single individual, planning for aging and longevity, planning for modern family structures and the interplay of family law and estate planning. A native New Yorker, Abbey has resided in Atlanta since 2006. When not in the office, Abbey enjoys volunteering with a variety of organizations which promote solutions in planning for health, longevity and quality of life. When she isn’t working or volunteering, she is riding the train at Zoo Atlanta, watching the Dolphin Show at the Georgia Aquarium, crossing the rope bridge at the Atlanta Botanical Garden, enjoying a show at the Center for Puppetry Arts or climbing in the treehouse at Fernbank with her husband, Doug, son, Jack, and daughter, Ryan.